Sustainable design features and technology support energy goals, reduce environmental impact, and can be used in curriculum to educate young adults to be good stewards of our earth’s resources. Incorporating the concepts of sustainability into the educational curriculum provides students the opportunity to develop a foundational knowledge of green practices. Sustainable schools help students heighten their involvement by allowing them to be active learners; as a result, the physical building transcends its role as simply a structure, becoming a tangible educational laboratory. As a multidisciplinary design firm, SMMA is well-versed in assisting with the integration of the design and construction processes into a school’s curriculum. Sustainable technologies such as greenhouses and greenroofs, photovoltaic systems, vegetated walls, school gardens, rainwater-harvesting systems, and wind turbines can be used as engaging educational tools. These design features help users develop a more intimate knowledge of and relationship with the building, and increase students’ understanding of their beneficial impact on the environment. SMMA has designed to both CHPS and LEED requirements in developing sustainable education programs. 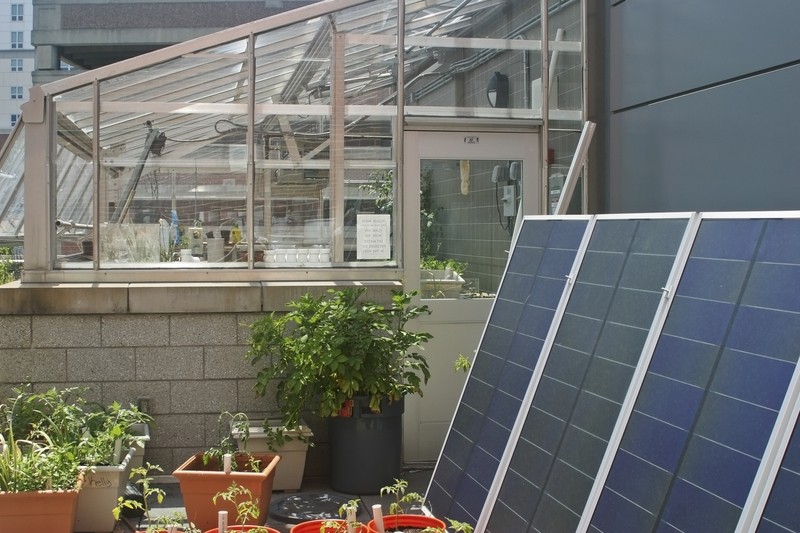 As an example, for the new Quincy High School, SMMA integrated a greenhouse, an 800-watt solar photovoltaic system, and a solar thermal system. Collectively known as the Renewable Garden, these sustainable technologies provide extensive learning opportunities for students, as well as a means for teachers to extend lessons beyond the traditional four-wall classroom. To respond to the growing demands of the eco-friendly workforce, the science, math, and vocational programs at the school work collaboratively to prepare students to use environmental knowledge in their higher-education studies. Learning about sustainable practice via hands-on engagement can facilitate students’ ability to form connections that extend beyond the classroom, to their daily lives and communities. A sustainability-based education can ultimately build a new generation of environmental stewards armed with the knowledge and awareness to forge a better future. Actively engaging students in their built environment can be facilitated through school spaces that serve as laboratories expressive of their functions. “Exposed” building systems and construction methodologies can visually connect students to internal and external environments and systems. Sustainable design features can also be exposed and used as hands-on learning tools with integrated design systems, allowing students to test assumptions and verify results. External natural environments can also be made available for all types of science projects. The natural world is a “laboratory” for exploration—studying it can expand student understanding of the natural world and its cycles of change. “Outdoor” studies can be simulated indoors with small flexible “greenhouses” shared between adjacent laboratories.